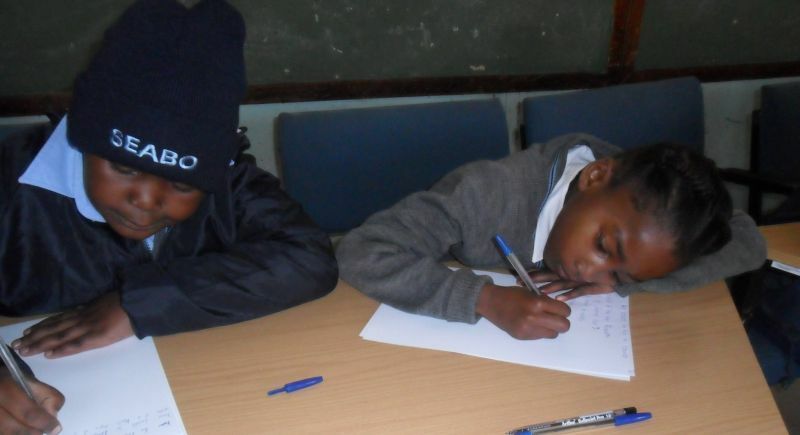 These are a few of the Grade Three children in five different districts of the Free State, writing their books that will be launched on Friday 21 February 2013. No one helped them. No one told them what to write. No one helped with the titles. No one helped them to do their illustrations. You will see in one of the pictures, subject advisors looking on. The Free State have very dedicated Subject Advisors, very caring of the children.